Yesterday's style hits today's street. 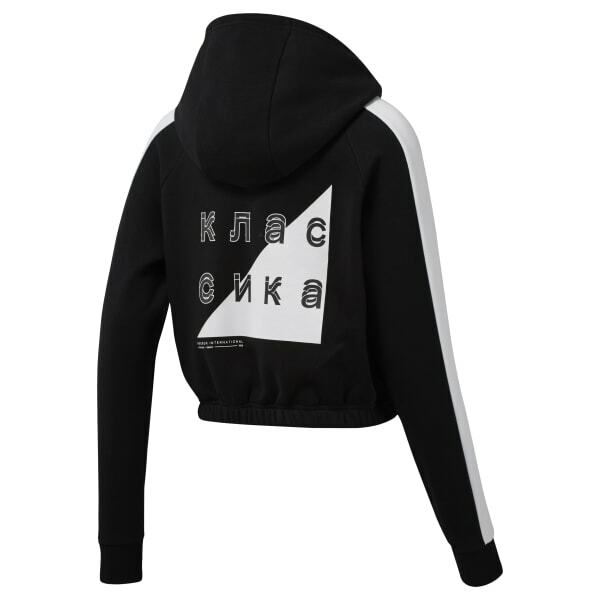 This women's hoodie has a cropped shape for a retro look. Contrast details add to the sweatshirt's throwback vibe.